If you’re into music, comedy, the performing arts, beautifully constructed cityscapes, and sports teams who are (ahem) were perpetual underdogs, then you should consider moving to Chicago. 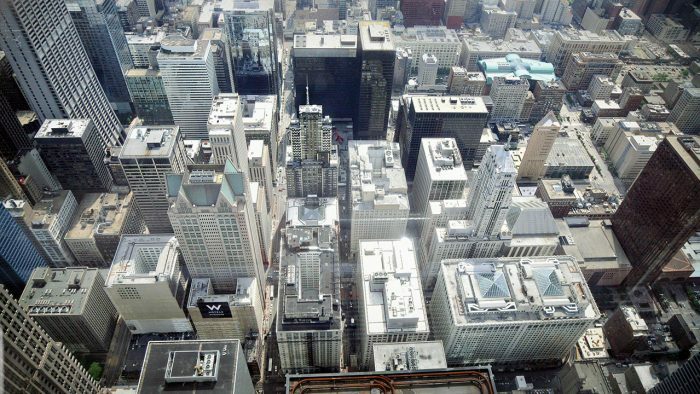 Chicago is one of the busiest, most densely populated cities in the country. The city can seem impenetrable to newcomers. But we’re here to help! This guide will provide all the basics you need in order to make your move to the Windy City. Which Chicago neighborhoods are most affordable? 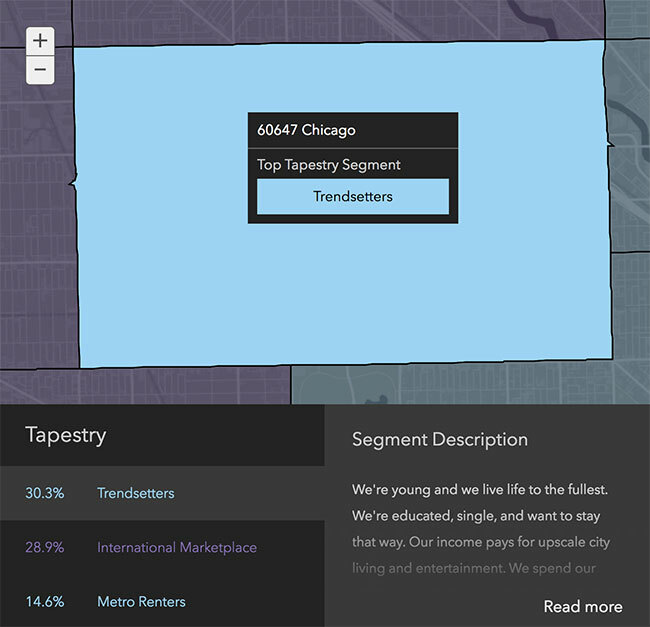 Which neighborhood in Chicago is the best fit for me? How long is the commute in Chicago? How’s Chicago’s walkability, bikeability, and public transportation? Where can I find apartments and houses in Chicago? How much will it cost to move to Chicago? What’s fun to do in Chicago? And if you’re looking for more info on moving to Chicago, check out our CChicago nightlife guide, Chicago move cost guide, Chicago suburbs guide, cost of living in Chicago, and our Chicago neighborhood guide. Chicago is the 3rd most populated city in the US with a population of 2,720,546. As of early 2018, the average rent in Chicago is $1,576 which makes it the 3rd most expensive rental city in the country. Chicago is the 11th most expensive city in the United states, putting it on par with places like Seattle, Boston, and San Diego. Chicago has an extremely diversified economy. Leading industries include manufacturing, food processing, as well as the recently booming technology and E-commerce scenes. And if you’re looking for more info on moving to Chicago, check out our resources on Chicago neighborhoods, Chicago suburbs, cost of living in Chicago, Chicago nightlife, and our Chicago move cost guide. Before we dive in, check out this video to get a better idea of Chicago’s awe-inspiring architecture. It’s a crazy beautiful city! One of the first decisions you’ll make when moving to Chicago will also be one of the most important: Where to live? Chicago has a ton of neighborhoods (245, to be exact), each with its own identity, history, and culture. Where you live will have a major impact on not only your commute, but also your dining habits and social life. 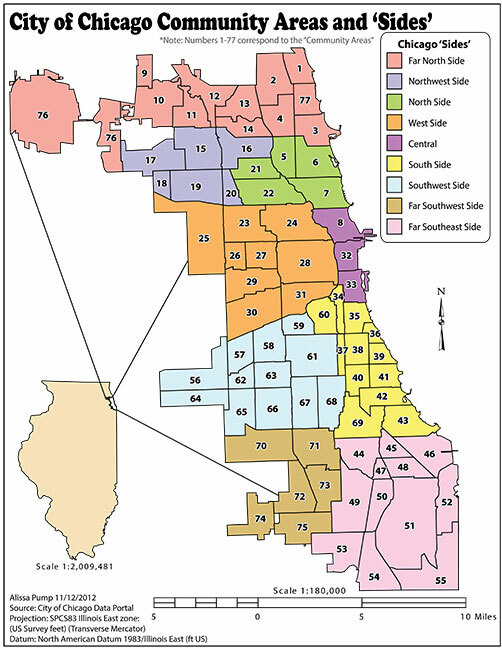 As this map shows, the neighborhoods of Chicago are divided into 77 larger regions referred to as “community areas” which are themselves divided into four geographical regions. For a more in-depth look at these regions, check out our Chicago Neighborhood Guide. But for now, let’s just start by getting a general feel for how expensive these areas tend to be. No sense investigating a neighborhood you can’t afford. 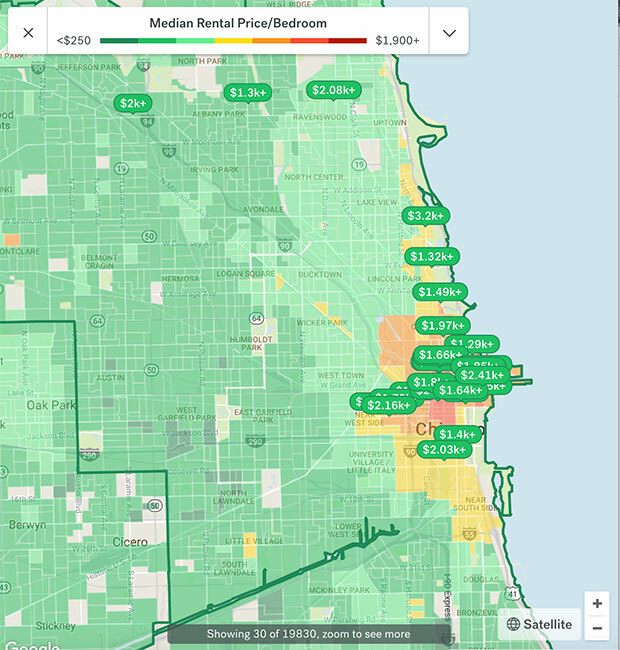 The map below, should give you a good idea on typical rents in Chicago. Hint: green is cheaper, red is more expensive. 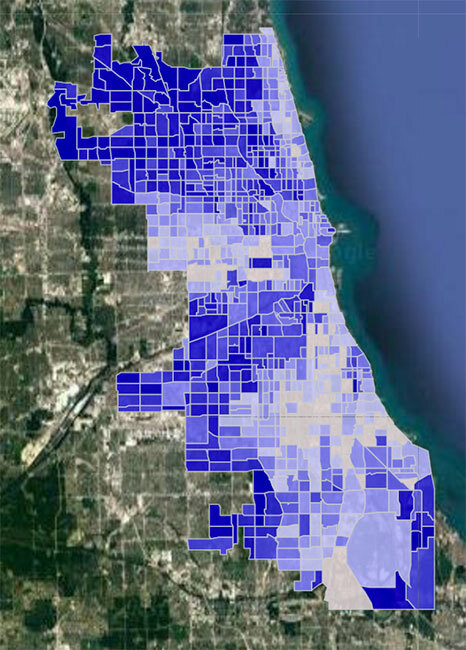 Like most cities, anywhere near the center of Chicago is gonna be very expensive. Being the main hub of the city, this shouldn’t be too surprising. Downtown, River North, the New East Side, the Loop and their surrounding neighborhoods are generally the trendier areas of the city with plenty to do and convenient commuting options, but they’re also the most expensive with rents between $2,000 and $2,200. The somewhat cheaper but still “hip” areas include the Near North Side, the Magnificent Mile, the West Loop, and parts of River West, Gold Coast, and Old Town whose rent usually ranges between $1,600 and $1,700. For people on a somewhat tighter budget, you can find places for $1,500 and under in Old Town Triangle, Gold Coast, River West, and the Near West Side. 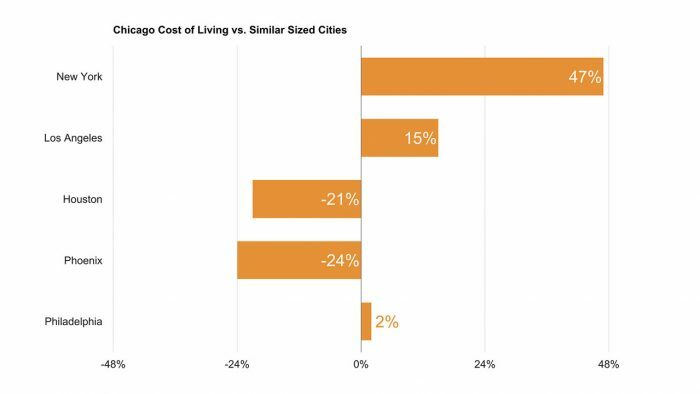 Affordability is extremely important, but it isn’t the only factor in picking a place to live. You’ll also need to find a place that fits your lifestyle and personality. The ziptapestry tool on Esri.com uses a region’s zip code to provide you with a detailed cross-section of that area’s demographics. For example, if you plug in the zip code for Bucktown (60647) you’ll get a detailed summary of the types of people living in that area. Pretty neat, huh? Still, neighborhood demographics aren’t everything. No matter where you live, you’ll still have to get yourself to work every day. So let’s hop on the L and check out Chicago’s commuter situation. A 2015 study found that Chicago has five of the most congested roads in the country. Residents spend, on average, an extra 61 hours per year stuck in traffic. 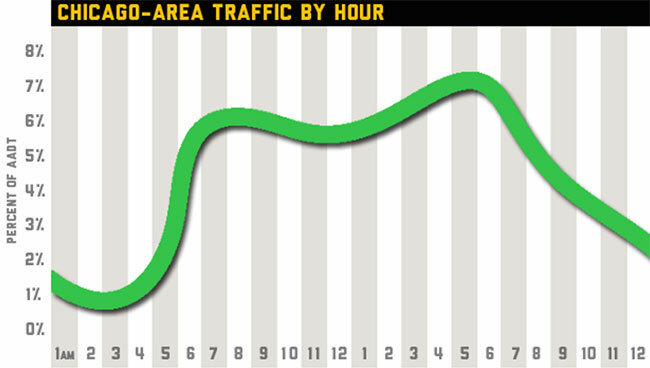 WBEZ Chicago has a pretty good summation of Chicago’s busiest traffic times, including this chart of peak traffic congestion. As you can see, traffic’s pretty consistently high from 6 am to 8 pm with only a slight dip in the early afternoon. Another contributing factor to the awful traffic; toll roads. These roads are pretty much inescapable when coming in and out of the city. The electronic, pre-paid iPass can help to speed things up a bit, but that requires everyone else using the express lanes to know what they’re doing (and they often don’t). Add a city full of gawking tourists and cyclists who don’t know how bike lanes work and it becomes pretty clear why so many people choose not to drive within the city. Do I need a car living in Chicago? While a car can be convenient, you can make due without one in Chicago. 28% of Chicago households don’t own a car and it’s easy to see why. With a walkscore of 78, Chicago is EXTREMELY walkable! Chicago has a Public Transit Score of 65. That falls pretty squarely in the good-but-not-great range. Still, it’s a much better alternative to driving! 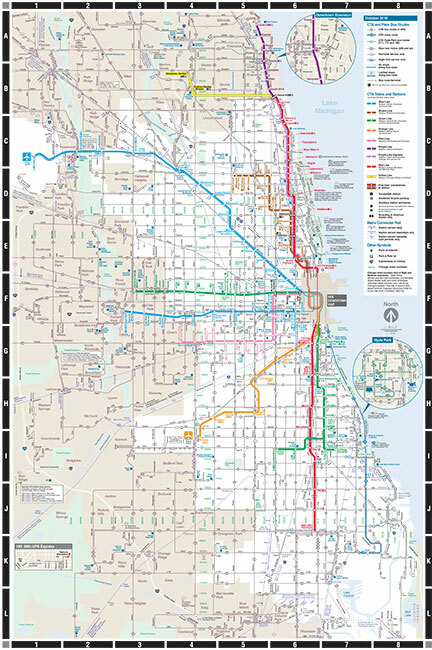 The Chicago Transit Authority offers both a robust bus service and train services via the “L”. Obviously, coverage is going to be better closer to downtown, but the CTA routes do expand significantly beyond the city’s center. You’ll also want to keep the Cubs schedule handy, even if you aren’t a fan, just to know when to avoid the Red Line. Fares are pretty reasonable too. Bus rides cost $2.00 while a ride on the “L” runs $2.25. Using the Ventra app, residents can buy a $100 unlimited monthly pass. Pace and Greyhound are great options for traveling further within Chicago as well as to its surrounding cities. They also offer direct connections with the CTA’s services. Meanwhile, Metra offers railway alternatives to the “L”, providing stops within the Downtown area that go outside of the city to the six-county area of northeast Illinois. 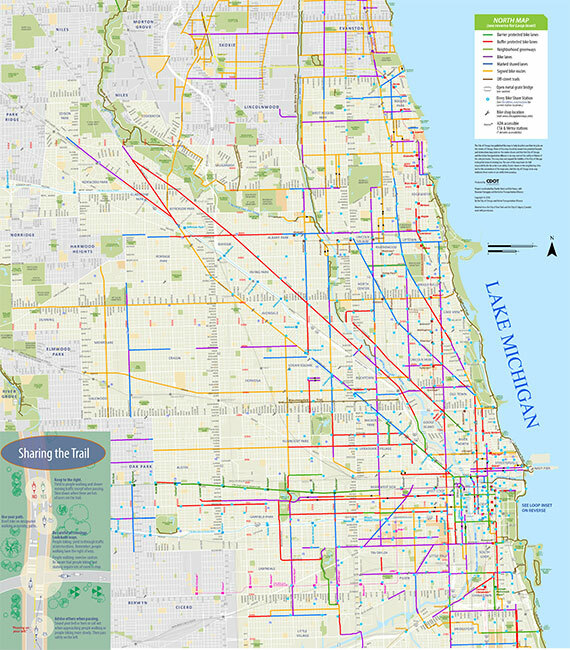 Biking is also a reasonable option for getting around in Chicago. The city has a bike score of 70 and there are over 200 miles of conveniently placed biking paths within and beyond downtown. But it is important to mention, bike theft is a kind of a problem. While we’re on the subject of theft, let’s touch on the unavoidable topic of crime in Chicago. Exactly how bad is Chicago’s crime rate? As you’ve surely heard, Chicago has a pretty bad crime rate. According to Neighborhood Scout, Chicago scored a paltry 11 out of 100 in terms of overall safety which isn’t great. But, it is much better than many large cities in the U.S.
It’s important to keep things in perspective when talking about crime in Chicago, particularly when the national news media follows it so closely. In reality, it isn’t that different than most major cities. There are definitely some areas on the Far West Side and the South Side of town that can be fairly sketchy. But the closer to The Loop you are, the safer the area will be. Chicago is a thriving, functional city with some select bad areas like any city. So, let us give you the blanket advice for city-living. Yes, crime happens. As long as you stay aware of your surroundings, keep away from trouble areas, and keep to yourself, you’ll be fine. Now that we’ve gotten all the basics out of the way, let’s get down to actually finding a place to live. First thing’s first: What accommodations are you going to need? Chicago presents a great example of the extreme dichotomy of midwest weather. When it’s hot, it’s hot and when winter hits, it gets so cold you can barely breathe. Obviously, this means you’ll absolutely need a place with heating and air conditioning. If you’re living close to downtown, finding a nearby laundromat shouldn’t be too difficult. Still, with the winter being as harsh as it is, you’d probably prefer a apartment with a washer/dryer. 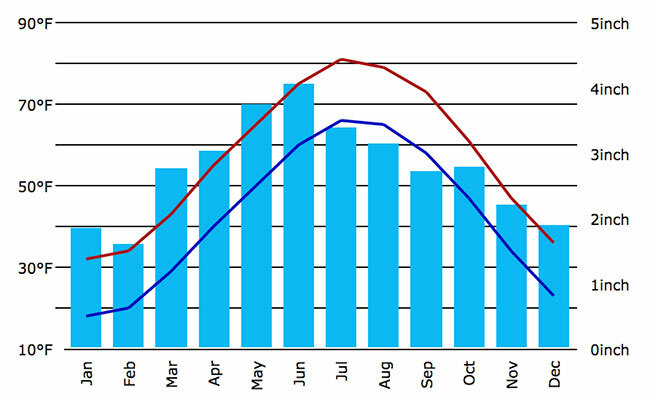 Also, make sure you take into account the average utilits cost per month when you’re budgeting for an apartment. Here are a few of our favorite websites to find apartments. Use the sort functionality to drill down on your desired number of bedrooms, budget, etc. It may surprise you, but we kinda dig Craigslist for finding apartments in Chi-town, especially if you’re hunting for a deal. Living in Chicago isn’t cheap, but at least things are improving somewhat. Chicago’s average rent has decreased by 14.49% as of early 2018, compared to the U.S.’s increase of 3.43%. With rising rents and a below-average vacancy rate of 5.22% it’s not surprising even current residents, are holding onto their apartments rather than searching for something cheaper. As a renter, you need to know your rights to avoid shady landlords. Here’s a list of laws and exceptions specific to Illinois. Chicago’s surrounding neighborhoods provides a calmer (if more expensive) alternative to those wanting to avoid the tightly-packed inner-city. Glenview and Park Ridge are two of the city’s highest rated neighborhoods and it’s easy to see why. 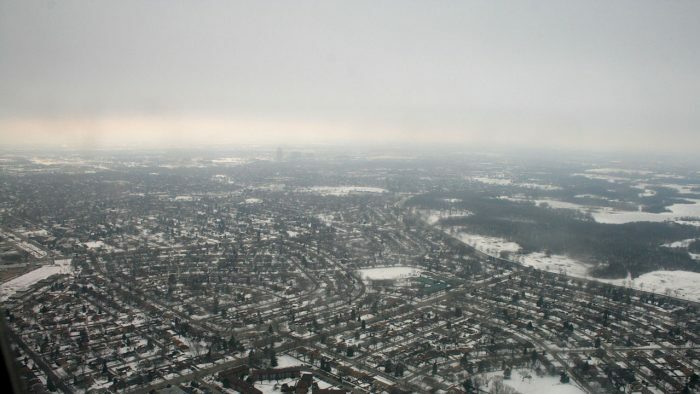 Glenview rates extremely highly in terms of nightlife, diversity, and crime. It also has a great public school system that appeals to young families. Though with a median home value of $469,200 and a median rent of $1,732, it isn’t the most affordable area in the city. Park Ridge provides many of the same benefits at a slightly better price. The median home value here is $388,900 and the median rent is around $1,181. The only downside here is a slightly less diverse population and fewer nightlife options. But maybe these neighborhoods are still a bit busy for your tastes. If you prefer a more secluded, laid-back community that’s still near the city, consider heading out to The ‘Burbs. 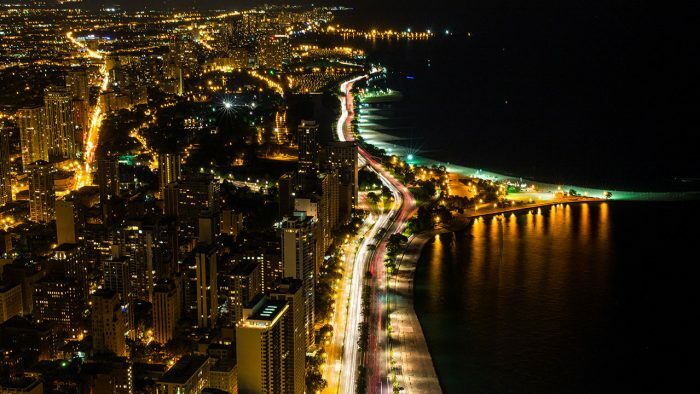 Speaking of nightlife, Chicago has plenty of it. Now, Chicago’s nightlife presents you with so many great options that picking something to do can be a bit overwhelming. Your best bet is to figure out which neighborhood suits your style and narrowing things down from there. Bars: Preferred bar styles vary wildly from person-to-person, but The Hopleaf Bar provides some of the best beer selection and pub food available. For a more cocktail focused establishment, Lost Lake is a great option for a laid-back evening in Logan Square or, check out Delilah’s for a downtown venue that caters more towards the “alternative” crowd. Clubs: Those in favor of a louder, more danceable scene have just as many options, but the Smart Bar in the basement of the Wrigleyville building is a great place to start. Or, for a more versatile venue that offers two floors of dancing and live performances, check out The Mid. Music: And did we mention all of the amazing live music venues? The Chicago Theatre is the largest and typically features the biggest acts. 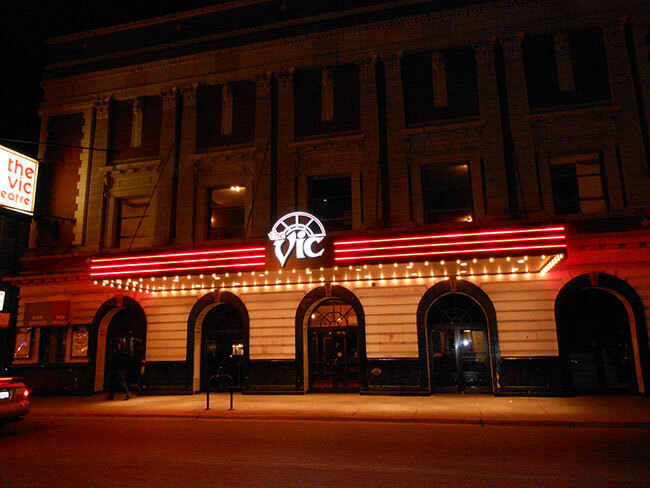 You’ll find the newer, hipper acts regularly playing at Lincoln Hall and more alternative acts at the Vic. 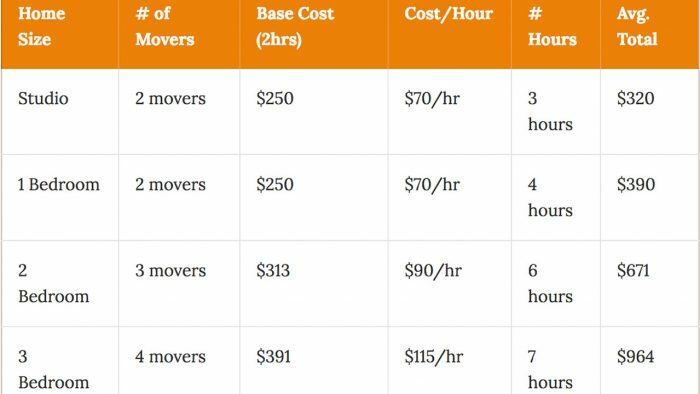 Use our moving cost calculator to estimate your moving costs to Chicago. Also, if you are moving from afar, be sure to have a look at our moving long distance guide for more info and tips. Unlike most cities, the City of Chicago does not allow moving containers to be parked on the city streets. If you plan on using a moving container or freight trailer option for your move, you may want to think again. You’ll have to either rent a truck or hire a moving company to shuttle your items from the freight terminal into the city. Not fun! Also, you’ll need a parking permit to park a truck. Typically, your moving company will help you to file the proper permits for parking a moving truck, but if you end up having to do it yourself, you can find more details here. Lastly, if you’re moving into a fancy Apartment building the management will likely require proof of insurance from the moving company ahead of time. Be sure the movers bring their insurance info on moving day. Congratulations, you’re now a Chicagoan! Now, let’s make it official! Voter Registration: Elections, both national and local are important! Register to vote here. Driver’s License: If you’re moving from out of state and plan on claiming residence in Chicago, you’ll need a driver’s license or state ID. Find out how to apply here. Vehicle Registration: Along with updating your license, you’ll need to register your car. Trash & Recycling: The city handles trash collection. Find info on your collection days here. Ways to meet people: Building a social network after moving can be hard. Meetup.com is a great resource for finding groups of people with similar interests. Or, you can use /r/chicago/ to keep up to date on things happening around the city. Now that you’re here, see the many sites. 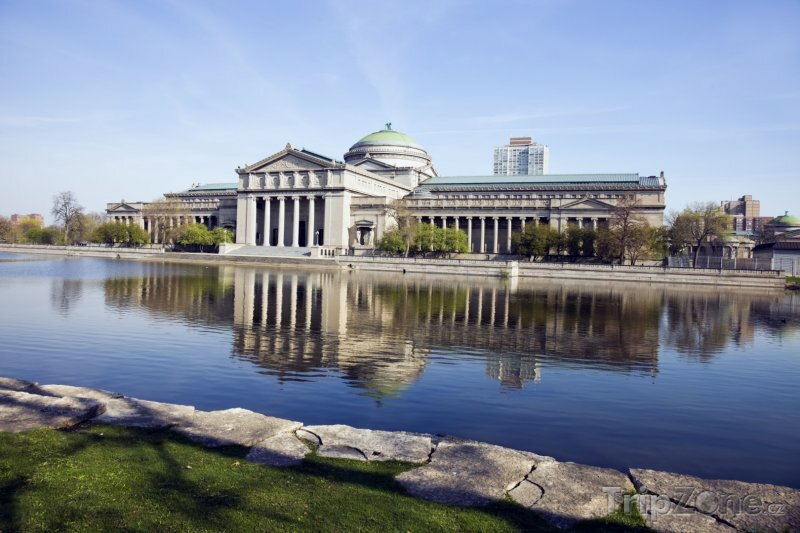 Museums: Chicago has some of the best and most diverse selection of museums in the country. So highlights include the Museum of Science and Industry, the Chicago History Museum, the Field Museum, and the Art Institute of Chicago. 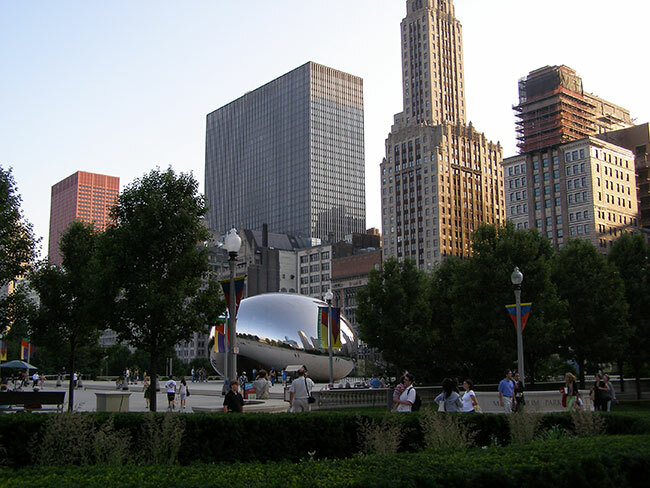 Architecture: Chicago is also famous for its one-of-a-kind architecture. The Chicago Architecture Foundation offers many bus and walking tours or, if you’re feeling a bit more nautical, try one of the many boat tours. Parks: Here’s a list of Chicago’s best parks for those looking to enjoy the many beautiful bastions of nature, the most famous of which is Millennium Park. Landmarks: Moving or visiting, there are some places everyone in Chicago has to check out at least once. 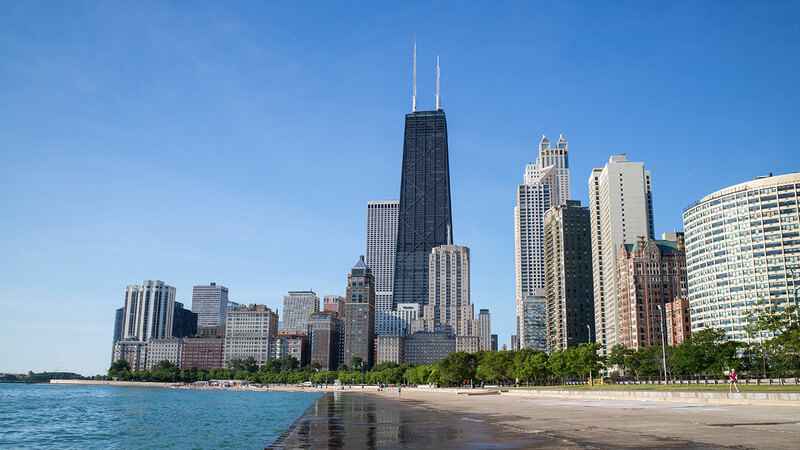 The two most prominent landmarks include Willis (formerly Sears) Tower and Navy Pier. Sports: And, in case you didn’t notice, Chicago’s a pretty big city for sports fans. You can watch the Bulls at United Center, the White Sox at Guaranteed Rate Field, the Cubs at Wrigley Field, and da Bears can be found at Soldier Field. If you’ve got more tips to dish on Chicago, let us know in the comments! What Is The Cost To Move In Chicago? What’s the cost of living in Chicago, IL?